BILT QUAD MONITOR STAND FROM ERGONOMIC HOME. BILT by Ergonomic Home is engineered like a hi-rise building with horizontal and vertical beams for superior strength. If you had an Architect design a strong monitor stand, BILT by Ergonomic Home would be the result. Height - Overall Dimensions	17.6 in. Width - Overall Dimensions	63.86 in. Depth - Overall Dimensions	9.69 in. Pole Height Adjustment	16 in. Capacity per Monitor: Max. 20 lb. Monitor Rotation 360�. Mounting	Clamp-on, Grommet Tilt: Up/Down. Type: Pole & Beam. Material:	Steel/Plastic. Quick Connect allows fast, simple assembly. Flexibility and more options for the end user with a simple, easy-to-use Allen wrench adjustment to counter balance the weight of the monitor. Double Extension models allow 24" back-and-forth movement. Arm folds back to post for more desk space. The arm swivels 360� around the base, increasing the options for display position. 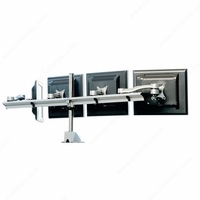 Desk clamp and grommet mount hardware are included to minimize SKUs. 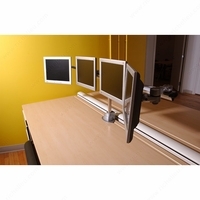 Mounting is standard with clamp and grommet options that adjustable to fit most desks and work surfaces. Clamping range of 1/2" to 2 3/4" this arm will fit to any work surface. Cable manager keeps all cables hidden. 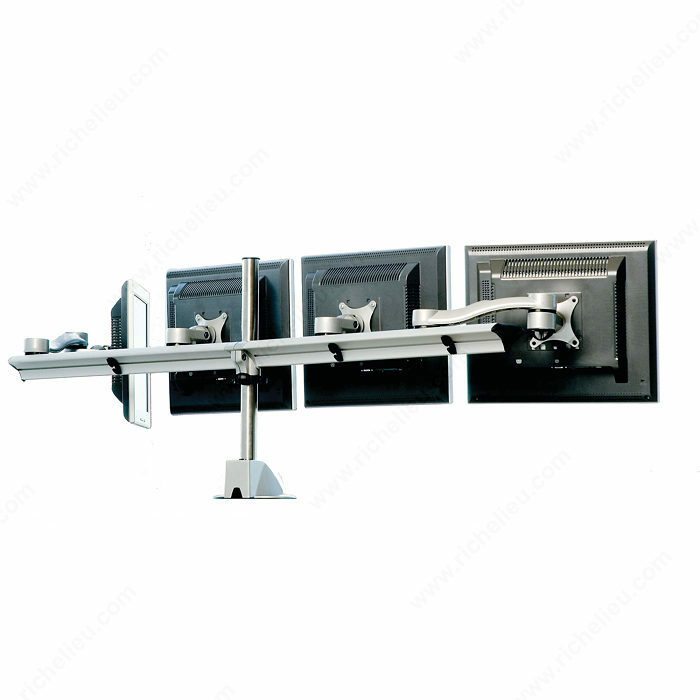 VESA monitor mounting bracket contains both 75mm and 100mm hole patterns to comply with VESA standards.